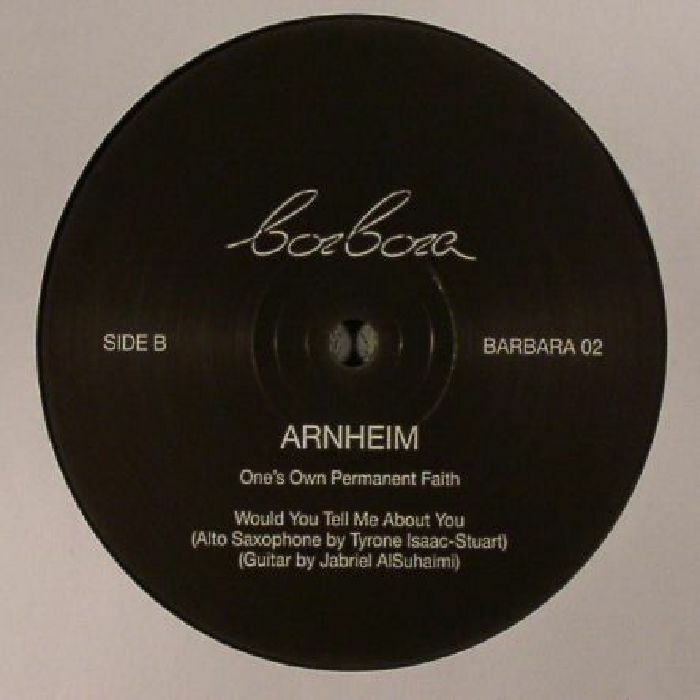 ARNHEIM Would You Tell Me About You vinyl at Juno Records. 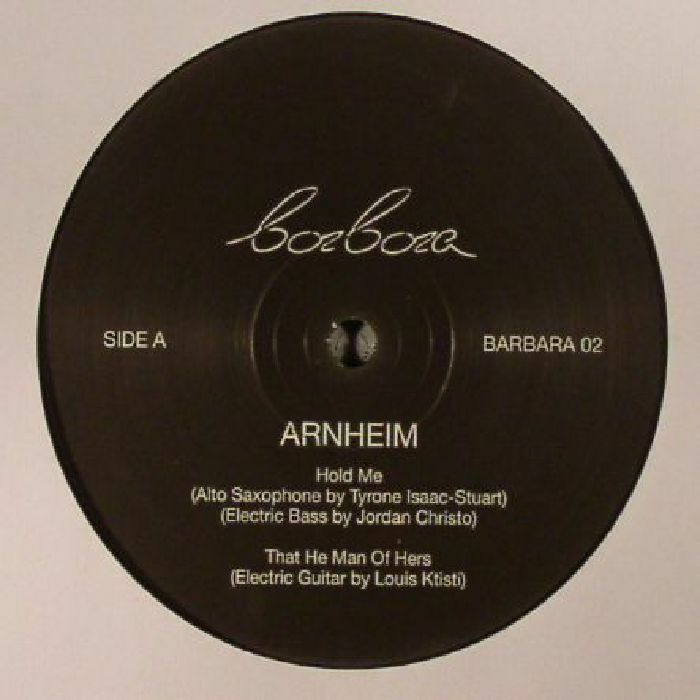 Tyrone Isaac-Stuart on sax, Jabriel Al Suhaimi on guitar, Arnheim on the magic studio touch: "World You Tell Me About You" builds on where Lithuanian producer last left us on his own Barbara imprint. Four tracks of dusty, loosely-hewn cuts ranging from the baggy, woozy pure jazz sentiment "Hold Me" and "Would You Tell Me About You" to the loopy chugging haze of "That He Man Of Hers" by way of the lolloping off-beat "One's Own Permanent Faith", Arnheim's fusion skills continue to explore unchartered territories remain on-point.